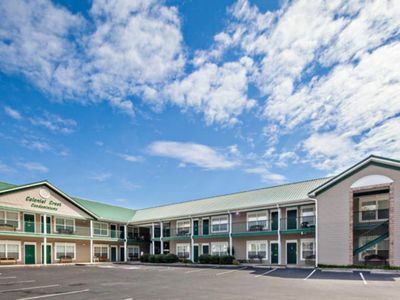 *Great Rates*- Hot tub/Pool Table/Arcade Game/Theater Room/Close To Attractions! 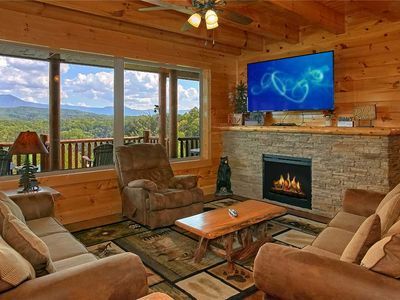 With incredible amenities like these, we dare you to be bored during your getaway to the Smoky Mountains! 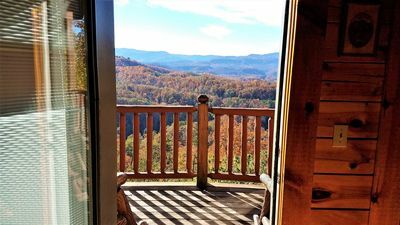 Once you walk through the door of owner-rented Brigadoon III, you won’t know where to start first. Up for a movie marathon? 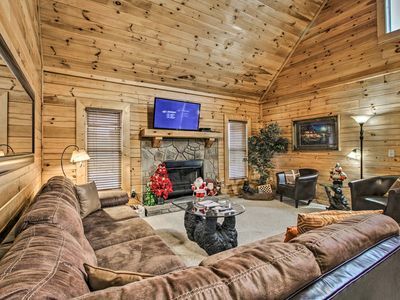 Check out the fabulous theater room with 80-inch HDTV, surround sound and huge DVD library. 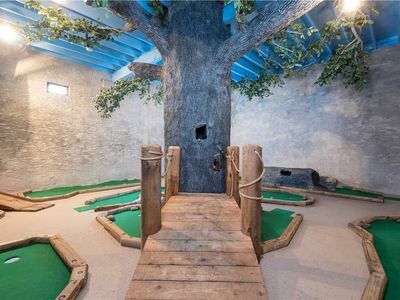 Maybe you’re itching for a game night? Play the night away in the game room that’s fully-stocked with wet bar, board games, pool table and 80's arcade console. 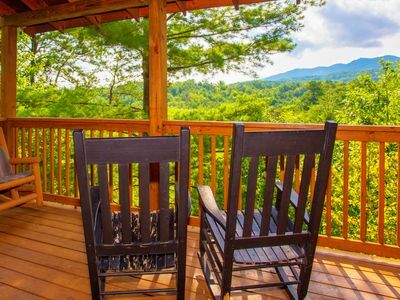 If you’d rather spend your time in the fresh air, grab a book and cup of coffee and head to the front deck with porch swing. 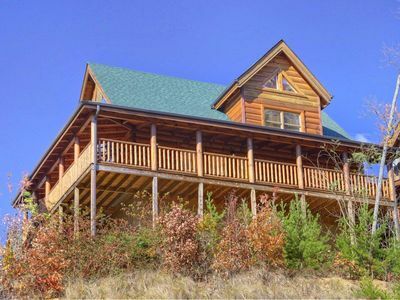 Let the world go by slowly from the two full-length back decks with rocking chairs and quaint bistro dining table. Sink into the large hot tub and let the bubbles ease away your everyday stresses, putting you in full vacation mode. 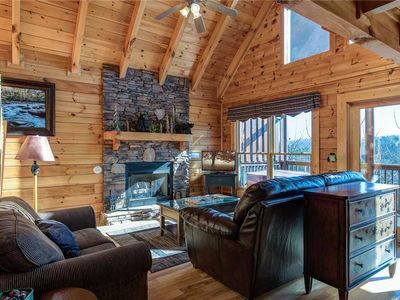 At Brigadoon III, you’ll get the full log cabin experience, with beautiful wood details everywhere you look and cute black bear decor. 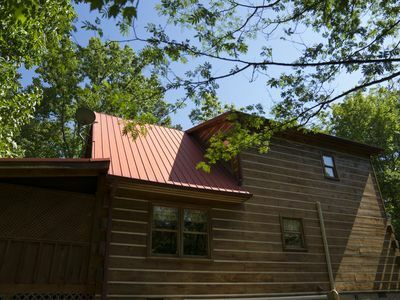 Bring the family, your girl or guy friends or just your sweetie; the cabin sleeps eight comfortably with two bedrooms and two bathrooms. Fight over the master bedroom on the main floor with pillow-top king bed and Jacuzzi, as well as en-suite bathroom with shower. Upstairs, the loft area boasts its own special features with fantastic views, pillow-top queen bed, and en-suite bathroom with shower. 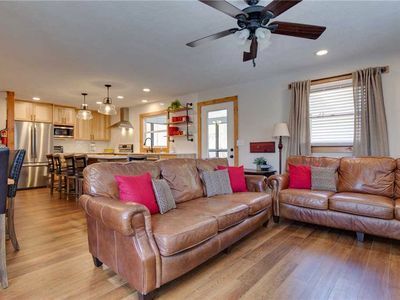 For the extra guests or kids, the main living area and theater room both have a comfy queen sofa beds with a memory foam mattress. 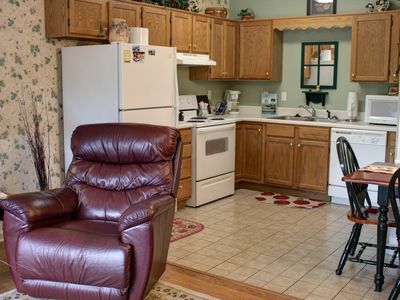 You might have so much fun, you’ll forget to eat, but if you do get hungry, the fully-equipped kitchen has all you’ll need to cook up yummy meals. Keep it simple and cook mouth-watering burgers, steak or chicken on the professional infrared grill on the back deck. 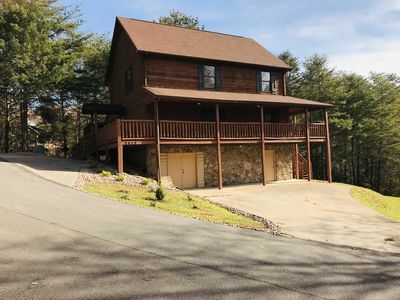 Brigadoon III helps you get away from it all, but still offers the comforts of home, excellent free Wi-Fi, washer and dryer, large dining room table and outdoor seating. 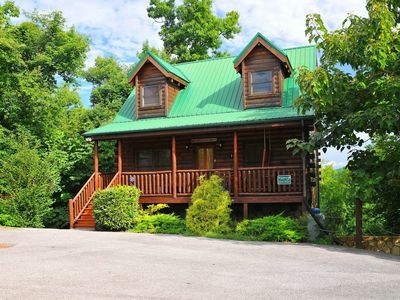 While the cabin has all you would need for an amazing weekend getaway or family vacation, it’s also centrally located only minutes from downtown Gatlinburg, Pigeon Forge and the Smoky Mountain National Park. The choices of things to do in the area are endless, with a little something for every age, interest and ability. Our amenities are second-to-none, but our owner-rented property also offers a little something else to make your stay special—personalized attention and attention-to-detail to your needs. 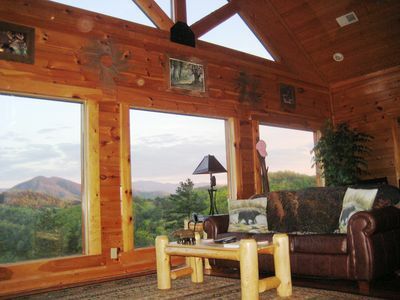 Visit us for yourself to experience 'A Touch of Magic in the Smokies' at Brigadoon III. 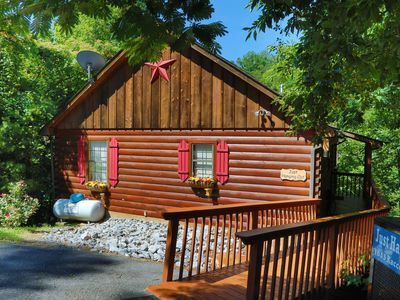 Thank you for taking the time to look at our cabin. 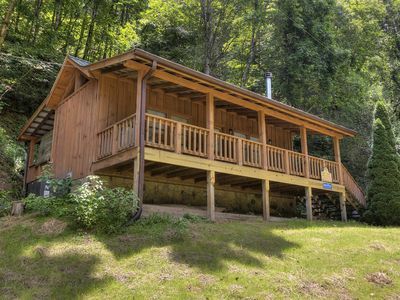 Cozy Retreat in the woods! Are you ready for Just Hanging Out with your friends and family? 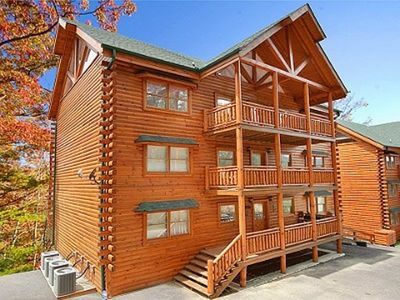 Sugar Bear in Pigeon Forge #unforgettable 1BR w/ Gameroom, Private Jacuzzi & more! 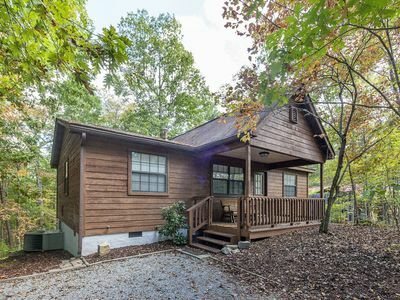 Country Oaks #26 - Great Location! - Convenient to Everything! 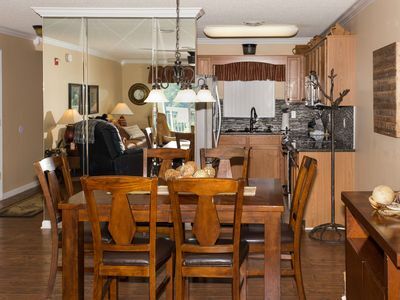 Colonial Crest 112 - Great location! - You can walk to town! 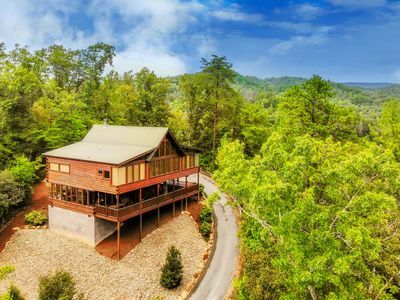 4BR/4.5BA SLEEPS 14 - STUNNING VIEWS / PRIVATE FIRE-PIT! 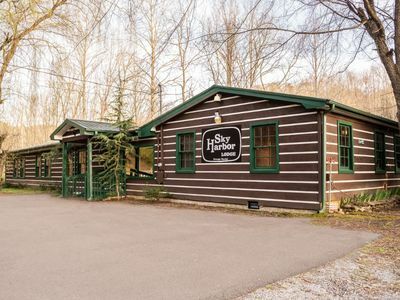 Calling all youth groups, large family Gatherings...Sky Harbor Lodge has what you need!